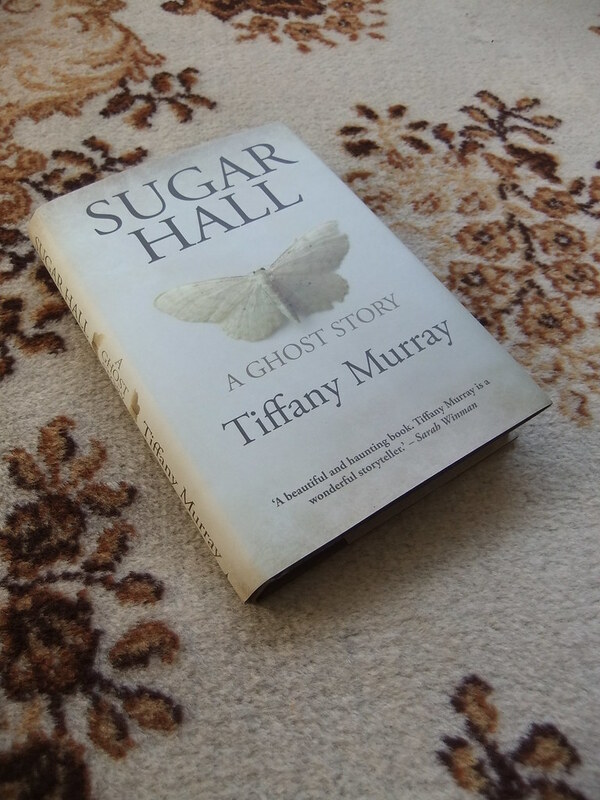 Sugar Hall by Tiffany Murphy is 'a ghost story' set in the 1950s in a classic rambling old mansion near the estuary of the Severn river, that divides South Wales from England. Lilia has arrived at Sugar Hall, widowed and penniless, with her two children, teenage Saskia and young Dieter. They've left behind a bustling life in London and are readjusting to this strange new life where cows roam outside the windows. The story is a bit of a slow burner, but the descriptions are deftly enough crafted and the characters feasibly drawn to keep up interest as we wait patiently for something spooky to happen - as it soon does. I didn't get off to the best start with this book, stupidly pronouncing 'Dieter' as 'Diet-er' (as in someone who is on a diet!) rather than the German 'Deet-er'. I thought that Diet-er Sugar was a particularly silly name and it irked me for a good chapter or two until I realised my faux pas. There were other things (not of my own fault this time!) that I found a bit annoying in the first few chapters - the descriptions tend to be of the poetic type praised by critics as 'literary', but that I find, unless done masterfully, can get in the way of the story. There's lots of repetition (things are click-click-clicking, rather than just 'clicking') and sounds are recreated with words, rather than just described (the moth flutter-tip-tap-tip-taps at the window), all of which I found irritating. Taken together, the level of repetition, the focus on the young boy as the central character, and the frequent illustrations made me wonder for most of the book if this was meant to be a story for young adults? It wasn't marketed as such, and despite two mild scenes of an adult sexual nature, I'm still not quite sure whether this book would have been better off written as a young adult book. The references to biting and blood certainly have vampiric undertones that today's teens would no doubt lap up. Overall, I found this rather a tame read. I didn't feel any tension building, no urge to turn the pages quicker as the story advanced. I certainly wasn't getting a 'scare' factor from this so-called ghost story. As an adult book, I'm afraid it doesn't hold a candle to Sarah Waters' 'The Little Stranger', (but if you haven't read it you may get more from it than I did) so I'm going to recommend this as a better fit to those that like young adult fiction (I'm thinking that my 22 year old gothic loving niece might enjoy this story). This book could probably be made into quite a good TV special. I imagine with some cliched musicbox soundtrack to accompany scenes in the 'blue room' nursery, and some of the great visual descriptions (the moths coming alive in their display cases) it could generate more of a chilling feeling. For me, as a book, the ghost was trapped firmly in the paper, whereas the best ghost stories have you trembling to turn the page in fear of what might pop out of it. Sugar Hall is published by Seren Books. I was sent a copy for review, but my views are my own!